Most people only dream about becoming a famous superstar, but against all odds one man from Wales did just that. This is the story of his journey. 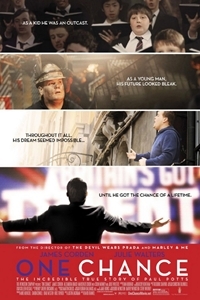 This is the remarkable and inspirational true story of Paul Potts, a shy, bullied shop assistant by day and an amateur opera singer by night. Paul became an instant YouTube phenomenon after being chosen by Simon Cowell for 'Britain's Got Talent. 'Wowing audiences worldwide with his phenomenal voice, Paul went onto win 'Britain's Got Talent' and the hearts of millions.